The Westover Veterinary Centre has provided a service to the stables and farms of Norfolk for over 100 years. Today we have six veterinary surgeons that solely do large animal work. We have recently moved to our new clinic with the aim of improving the level of care we can offer. With modern facilities, stabling and turnout paddocks we are able to hospitalise horses much more easily to allow for closer monitoring and careful treatment or surgery. We also hope to encourage more farm clients to bring their animals in, particularly for operations, to give us a better chance of success in a more controlled environment. In addition we offer a full ambulatory service, coming to treat your animals at your own home. We provide help with herd and flock planning as well as conducting routine fertility visits on farm. We are a practice that strongly believes in continuing education, with all our staff attending AND teaching courses on a regular basis. We feel this is important in ensuring we keep abreast of the latest ideas and treatments. All the Westover Schemes are designed to reward proactive, forward-looking farmers by reducing veterinary costs. Enrolment on a Scheme allows us to work closer with you to better understand your farm, identify the challenges it faces, and plan ways to maximise the potential of your animals. Our popular and successful Suckler Scheme was completely revised for 2016, building in greater flexibility to make it fit better to each individual farm. No longer do we dictate what the scheme includes, but it is up to you, with our guidance, to plan how to use it to your best advantage. New for 2017 is the Sheep Scheme which is based on the bronze level Suckler Scheme with similar charges andbenefits. We will undertake three visits at key times of the year to ensure that your sheep are ready for breeding, ready for lambing, and that you get the most out of your lambs during the summer. As well as this we are able to offer help and advice for herd health planning and benchmarking (this service is included if you are a member of the Suckler Scheme or dairy club). For further information on any of these schemes, how they can work for you and what level may be most appropriate, please contact the practice and ask to talk to one of the vets. Infectious diseases can be a real financial drain on your herd or flock performance. Some lead to obvious clinical signs or abortion, whilst others can be very subtle but lead to reduced growth rates, poor milk yield or susceptibility to other diseases. For many, infectious diseases there are commercially available vaccines, although it is worth remembering that no vaccine is 100% effective and vaccination cannot replace good farm management. As well as vaccination there are a number of accreditation schemes available to reduce the presence of infectious diseases on your farm. We are promoters of the CHeCS Cattle Health Scheme and Maedi Visna (MV) accreditation and many of our clients are signed up members enjoying the benefit of a high health status and improved sale value they are able to command. We are also able to offer ‘in house’ testing for Bovine Viral Diarrhoea (BVD) virus antigen test, which allows cheaper and quicker results when looking for persistently infected (PI) animals. Fertility is of major importance to all livestock enterprises no matter the size; it is an area that we at Westover really enjoy focusing on. 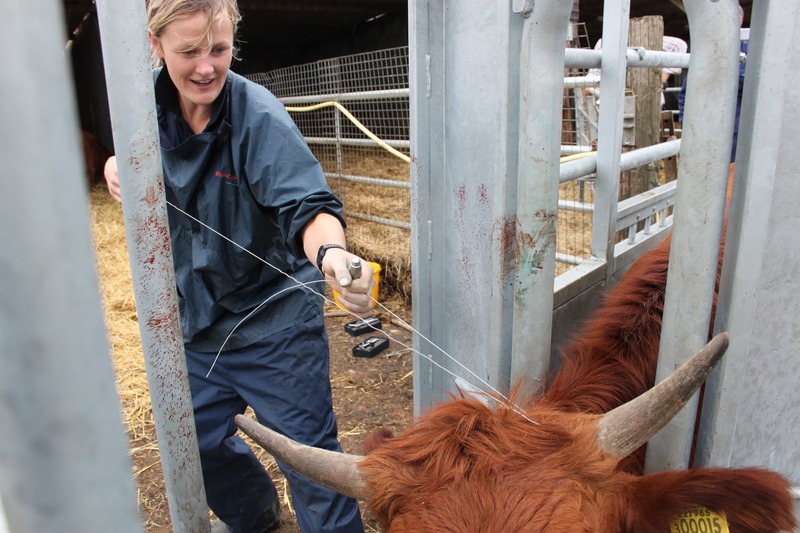 As well as pregnancy scanning and fertility examinations we try to encourage our farmers to look at all aspects that may influence the success or failure of breeding programmes such as nutrition, lameness or infectious disease. We have experience in dealing with all types of breeding systems, whether that be block or year round calving, dairy or beef systems, down to the smaller pedigree herds and flocks. Health Planning and benchmarking to work towards performance targets (through our beef suckler scheme or dairy club). 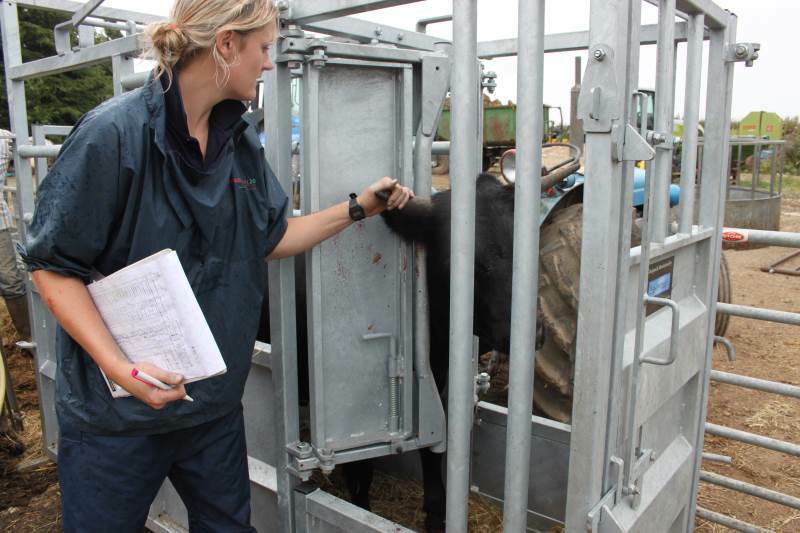 Mobile scanning of cows, sheep or goats to check for pregnancy and reproductive problems. 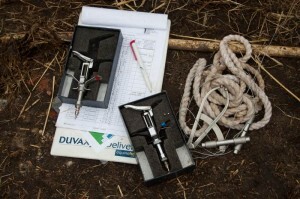 Fertility examination of bulls and rams using an electroejaculator. All of our large animal vets are also experienced in dealing with emergency work such as difficult calvings/lambings, caesarean section and prolapses. Most assurance schemes stipulate a requirement for farms to have an up to date herd health plan and to review herd health and performance annually. It is recommended that a veterinary surgeon is involved in all aspects of the herd health plan and review. Herd Health planning is an excellent opportunity to review the performance of your herd, in particular to see how you compare to industry targets as well as finding areas where savings can be achieved. Our idea of a herd health plan is that it should be a dynamic process involving us as veterinary surgeons, specialist consultants and most importantly, the people looking after the stock. We believe they should be used to measure, manage and monitor, allowing us to react quickly should any problems arise or any part of the plan goes off target. Calf and lamb health is an area that we feel passionately about at Westover, and is important to monitor within your herd/flock health plan. Getting it right in the first 24 hours is critical for the future health of your stock and much attention should be paid to your calving/lambing routine. Ensuring adequate colostrum intake is imperative. To monitor this, we routinely run calf bloods to check protein levels in the blood and see that enough colostrum has been taken in, this can also be done on lambs. Colostrum is hugely important as it contains the building blocks for an animals immune system, helping them fight off scours, watery mouth, respiratory disease, clostridial disease and many other conditions. Parasite control is still as important as ever, particularly with new challenges such as rumen fluke, climate change and wormer resistance. 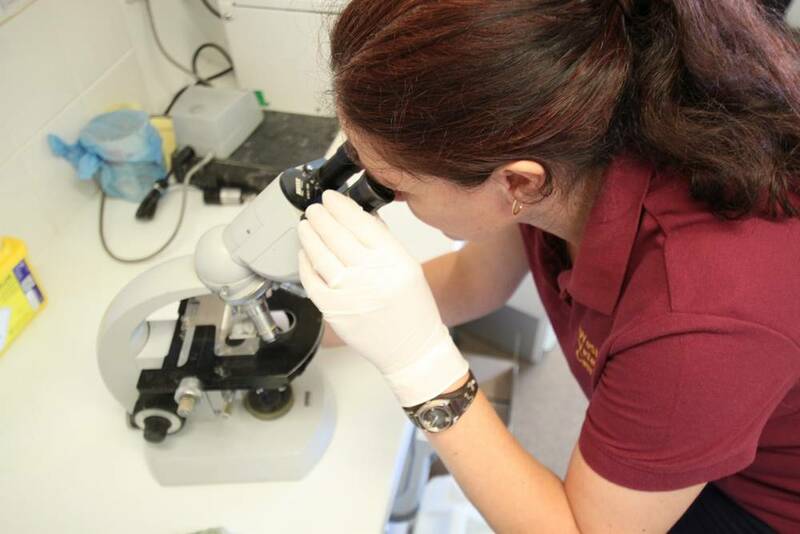 We have a very busy ‘in house’ laboratory and test lots of dung samples looking for common parasites such as roundworms and coccidiosis. This enables quick diagnosis and treatment. 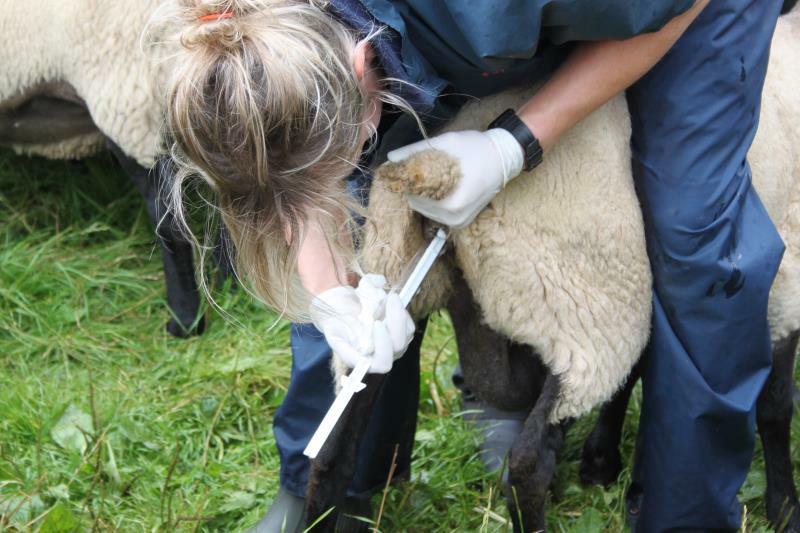 We promote sensible, cost effective parasite control and are the ideal people to advise you on worming protocols taking into account the whole farm situation. The key is to treat the right animals, at the right time, with the right product! Please read our information sheet for further information about roundworms (bowel worms), liver fluke, rumen fluke, tapeworm, coccidiosis, lungworm, cryptosporidium and ectoparasites such as lice and mites. Our working hours are Monday to Friday 8:30am to 5pm, Out of Hours (emergency) visits are available outside of these times, including bank holidays. Ordering Medicines please allow 24 hours notice when ordering medicines, the delivery from our supplier usually comes after lunchtime so when collecting it is sensible to come in the afternoon, although it is advisable to call in advance to check your order has arrived. Fridge items such as vaccination sometimes require 48-72 hours notice, particularly if large quantities are required. All our receptionists are able to deal with your order but for special requests our pharmacy supervisor Alison Horne will be able to help. Medicated Feed Prescriptions we are able to provide these for your enterprise providing we have seen your stock within the last 12 months. We advise an annual routine visit which usually takes between 15-30 minutes. Once this has been completed we will be able to issue a prescription once we have received instruction from the mill.